Learning to invest is difficult. We want to help. We're here to make you a better investor. We produce interactive course content for investors to help them learn how to improve their results. But more than that, we develop enhanced learning management systems to make the whole experience better. Visit some of the leading financial publishers online and you'll find the Learning Markets team behind the scenes, developing robust investing content, technical reports and newsletters for investors and traders. We help connect brokers and publishers to the markets. When traders need to know what's happening they turn to Learning Markets. 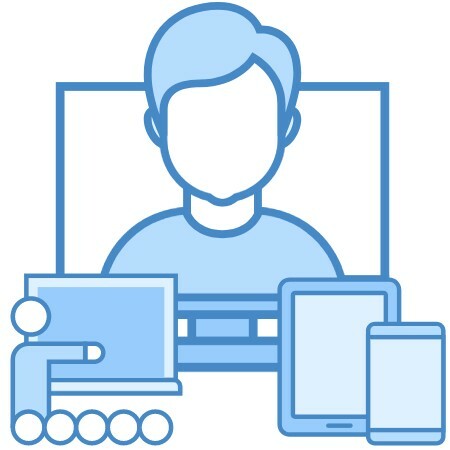 Our webinars combine just the right mix of entertainment and expertise. Want to learn more about our content and services and what we can do for your organization? 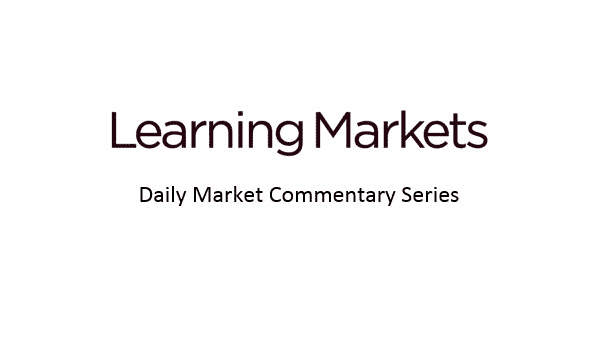 What Makes Learning Markets Different? We listen to you. For more than ten years we've developed courses, tools and technology based on customer feedback and, perhaps more importantly, based on what we learn investors need most. 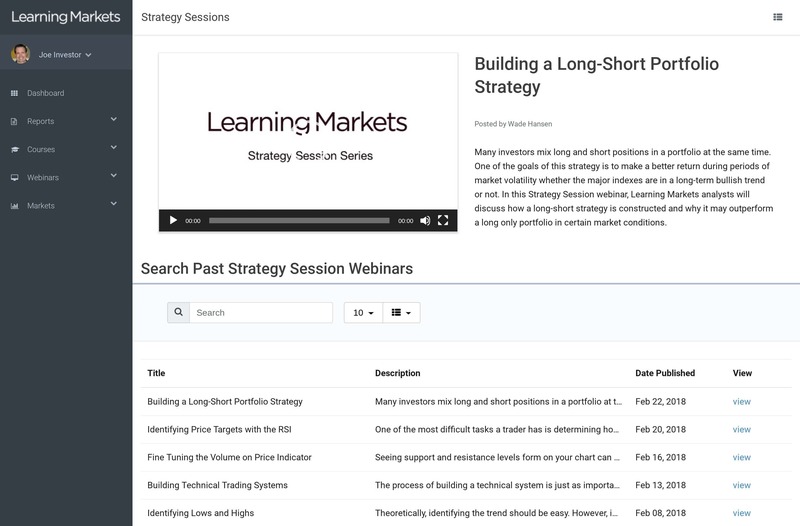 The team at Learning Markets has been developing online course content for investors for well over 15 years. More than 100,000 investors have read through our course content, submitted assignments and participated in live webinars. As a result we've been able to fine tune the course experience so that investors can learn more, by applying skills in a supportive environment that encourages questions. We analyze the world's leading public companies in a way that makes sense to active traders. While fundamental metrics and price performance are important factors, our focus is on technical impact events and suggested trading strategies. Everything is delivered in context — a recently released earnings report, the stock's current trend, an upcoming Fed announcement and more are all typical of the things factored in our analysis. Our reports are written by Certified Market Technicians — with experience and insight — not computers with bits and bytes. Learning Markets works with some of the world's leading online brokerages and financial publishers to provide various ways of connecting their customers to the live markets. Did something happen in the markets today? Were you wondering how this might affect your portfolio right now? Our daily commentaries provide a forum for investors to ask such questions and get live feedback and insight. We help bring calm and understanding to an otherwise chaotic atmosphere. Interested in hiring us? Want to learn more about our content and services and what we can do for your organization? Talk to our professionals and learn more about the services we provide. Interesting in purchasing from us directly? We have subscription bundles for all types of investors. Wow, I sure do appreciate the Learning Markets web site and especially the fantastic lessons and courses. I love your whole system, the presentation is very intuitive and efficient, the content is just perfect for the way I learn. After reading about 20 books and untold amount of articles on finance, trading and day trading and of course attending the DMC for going on two years, this course is a great way to "tie it all together." I look forward to the daily market commentary every day. Paying attention to the day by day details has without a doubt improved my trading skills. The experience of all three of the hosts is invaluable. All I can say is thanks. I've taken a lot of courses over the years. And I actually thought I was pretty smart. What Learning Markets showed me is how to apply trading knowledge in the real world. I think this is great service for your customers. Really appreciated. Best takeaway today was that the VIX is relative to itself, not another standard! Where was this course twenty years ago when I made a thorough mess of my portfolio? I found the information in this course informative and useful — and the presentations accessible and engaging. I'm applying what I've learned to my investments decisions. John's analysis of XOM and BP and bond CDS's was fabulous, this is perhaps the best presentation among many excellent ones from Mr. Jagerson! You have outdone yourself! Yes! We collect your credit card information at sign-up but we don't charge it until two weeks into your subscription. We then charge your card monthly thereafter until you cancel. And you can cancel anytime.'. How long will it take me to complete your course? This depends on the amount of time you're willing to commit to the courses and whether you've purchased our basic Investor package or the more complete Trader package. But generally we say that each course will take about a week to complete if you can devote roughly an hour to each day to the material. 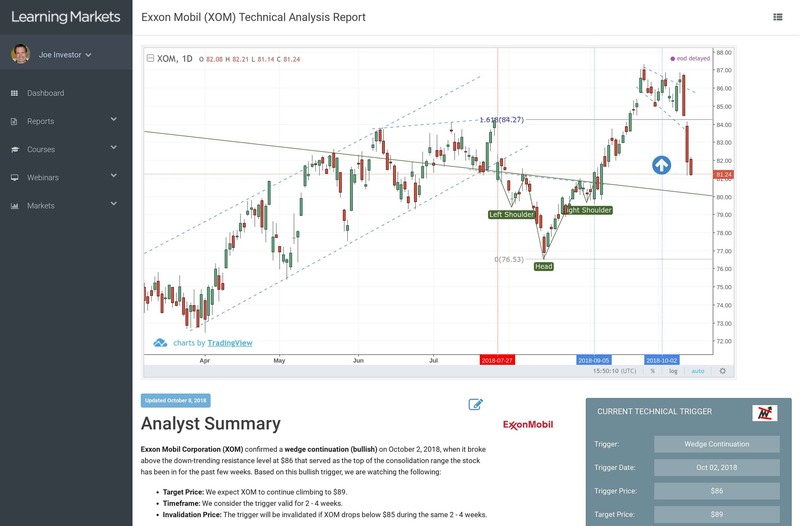 How often are the Technical Analysis Reports updated? We update most reports at least once per week with analyst insights. It's important to understand, however, that many items in the report use data that is updated daily. Our goal is to make sure each report is as useful as it can be the day that you open it. Absolutely, any time. You can do this on your own or you can contact us to do it for you. Can I cancel my subscription at any time? Will I lose my stored information? Yes, you can cancel your subscription at any time. And no, you will never lose your information. All of your course progress, grades and previously completed assignments and quizzes will still be here if you decide to re-subscribe at any time. We have a subscription bundles for all types of investors, whether you're just getting started or have been an active investor for years. All of our plans are available on a monthly subscription basis and you can upgrade, downgrade or cancel at any time. More than 15 comprehensive courses, organized into tracks. Questions we consider in this first course: How diversified is your portfolio? Is your portfolio protected from the downside shocks that may hit it in the future? If you don't own stocks, bonds, commodities, real estate, precious metals and a little cash, you aren't nearly diversified enough. Every strategic portfolio needs a solid base. The strength of your base will determine just how successful your portfolio is going to be. One of the easiest ways to build a solid base is to use exchange-traded funds (ETFs). ETFs put the power of diversification and cost control in the palm of your hand. Plus, thanks to the explosion of these funds in the industry, you can find an ETF for just about anything these days. This course teaches you how to find stock and bond funds. We also explore other ways to diversify your portfolio, such as through real estate, commodity and even cash funds. Individual equities, because they don't provide instant diversification, typically have more upside potential than ETFs. Of course, that increased potential comes with increased risk as well, but if you're looking for growth, individual equities can work well for you — as long as you know what you're doing. This course will teach you how to analyze revenue and earnings per share, ways to assess management performance and understanding how Wall Street evaluates and affects stock prices. We finish with a review of relative strength and sector (or "top down") analysis. 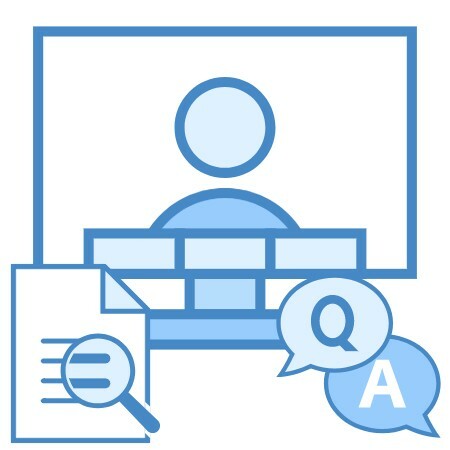 Once you have built your base, this course helps you understand how to manage your base. In this course we cover position sizing, stop loss orders, scheduled rebalancing and dollar cost average. All great ways to tend to your investing garden. Diversification doesn't do you much good unless your money is thoughtfully distributed across those various investments. Putting 90 percent of your money in one investment and the other 10 percent in your remaining investments won't do you much good. We start this course by helping you understand the benefits of position sizing. Once you have established a strong foundation for your portfolio, you can start to put it to work for you with dividend payments. Whether you are looking to fund your retirement, pay for a child's education or simply provide a little extra spending cash, dividends provide great way to generate income. This course helps investors understand dividend yields, how to search for dividends and when to combine dividends with your growth strategy. If you’ve never traded options before and don’t know much about them, this course will be a great introduction for you. Options are a highly effective trading tool that provide a tremendous amount of flexibility and opportunity for your portfolio... if you know how to use them appropriately. That's why it's important for us to learn how options are created and the difference between a call option and a put option. we also cover how to determine how 'risky' an option is, what is driving the value of the option and how to read an option chain sheet. This course starts with a review the basics of long call and put options to ensure you can make well-informed trading decisions. We make sure you understand how to determine your strike prices and exercise dates for various long call or long put buying decisions. 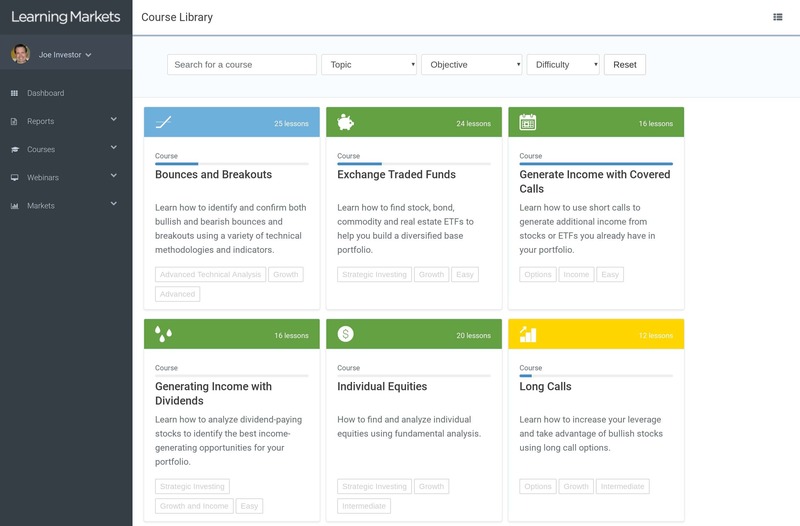 By the end of the course you'll be posting option trading ideas for your instructor to review. Sometimes the best way to accelerate portfolio growth is to prevent losses from occurring in the first place. 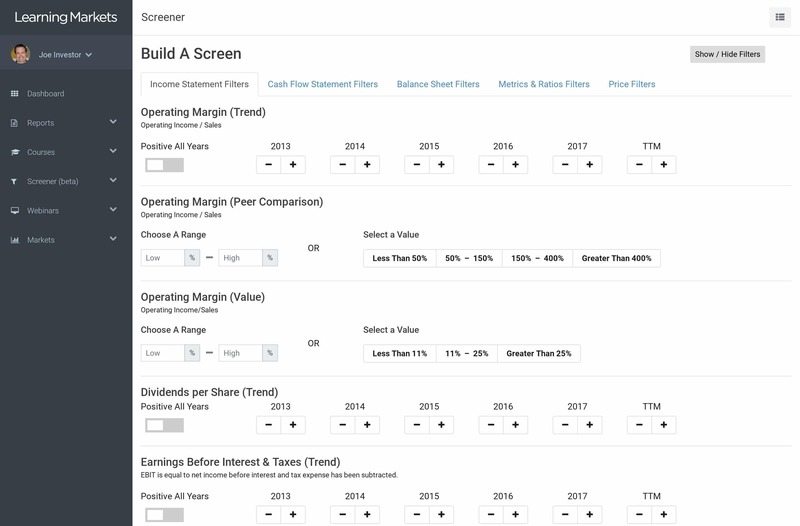 So how do you protect positions in your portfolio using options? The answer: you buy protective puts. In this course we learn how to buy protective puts and, much like the last course on put and call options, we talk about choosing expiration dates and strike prices that are optimal for your strategy. By the end of the course you will be expected to publish a protective put trade idea either for your instructor or for the community. Determining the trend is the first and most important step a technical analyst takes when analyzing a stock. Knowing whether a stock is trending or consolidating can be the difference between entering a winning trade and entering a losing trade. This course shows traders not only how to identify the primary trend by utilizing the myriad tools and techniques available to technical analysts but also how to confirm what they are seeing by analyzing the underlying, macro-economic forces that move markets. The U.S. stock market does not operate in a financial vacuum. It is impacted by the much larger currency, bond and commodity markets, whose reach extends around the globe. Knowing how these markets are behaving can give you a glimpse into the mindset of international investors and whether institutional money is likely to be flowing into, or out of, the stock market. We’ll also learn about market sentiment indicators — the tools traders use to read the “tells” of the other traders on Wall Street. Once a trader has determined which direction the stock is most likely to go, the next step is to identify and confirm an entry point. 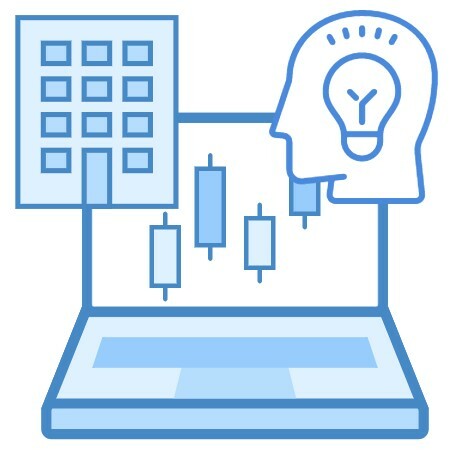 Traders typically encounter two obstacles at this point: 1) the number of methodologies and indicators that provide entry signals can be overwhelming; and 2) developing confidence in their ability to accurately identify these signals can be difficult. This course teaches traders how they can find and confirm the entry signals they are most comfortable with. Knowing when to enter a trade is important, but if traders don't go in to their trades with an idea of how far they are going to move, they can't position themselves properly to take advantage of the potential gains while protecting themselves from the potential losses. This course shows traders how to set realistic, evidence-based expectations for themselves and their trades so they can make informed decisions instead of flying by the seat of their pants. Price patterns are visual representations of market psychology in action. They tell you when traders in the market are excited and moving, when they need to take a moment and catch their breath and regroup and when they are ready to get moving again. In this course, we help you get comfortable interpreting the subtle nuances that are a part of price patterns. Once you do, you will feel like you can see into the future. Once traders have entered their trades, they need to understand how to provide adequate protection without limiting the potential for profitable performance. This course shows traders how they can protect their trades not only by using stop-loss orders at the appropriate price points but also by identifying appropriate levels to scale in to a trade that may carry a higher degree of risk. The most difficult question traders have to answer is when to exit their trades. Traders don't want to exit a winning trade too soon, but traders also don't want to give back profits if a stock starts to turn around. Traders don't want to lock in a loss by exiting if they don't have to, but traders also don't want to see losses mount as trades continue to run against them. This course shows traders what to look for to identify and confirm when a trade still has some room to run and when it has reversed course. Let us know what you're looking for and we'll show you how we can help diversify your product mix, retain subscribers and improve overall customer satisfaction rates.